Posted on 24, August 2016 by EuropaWire PR Editors | This entry was posted in Energy, Gas & Oil, Retail, Switzerland and tagged Alpiq Group, Helion Solar, IKEA, Photovoltaic Systems, Swiss furniture stores, “good-E” brand. Bookmark the permalink. ZURICH, 24-Aug-2016 — /EuropaWire/ — Helion Solar, an Alpiq Group company, is the partner of IKEA Switzerland for consulting, sales and installation of photovoltaic systems. These will be sold under the “good-E” brand at IKEA’s Swiss furniture stores. The goal behind the collaboration is to promote the further expansion of solar systems in Switzerland. In addition, the cooperation is in line with Alpiq’s strategy of increasing its market presence in the field of energy services. IKEA launched its new range of solar products this summer. With Helion Solar, the Swiss market leader for solar systems, IKEA Switzerland has found a competent partner for consulting, sales and installation of photovoltaic systems. From now on, employees of Helion Solar will provide IKEA customers who are interested in purchasing a photovoltaic system with expert advice and handle the sales process including the processing of contracts and installation of the systems. 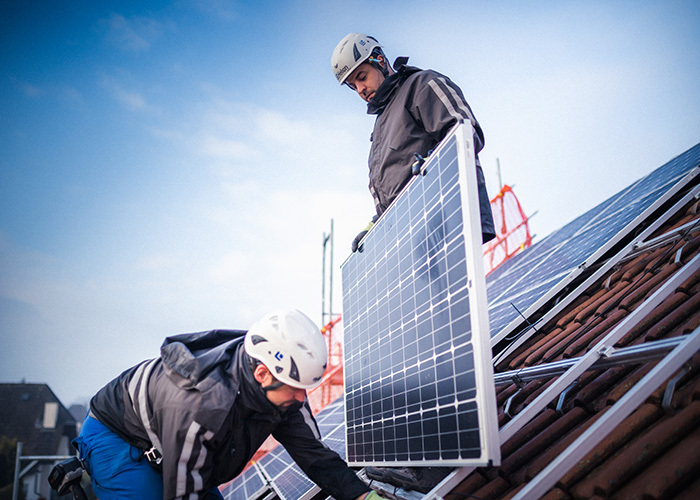 In Switzerland, the installation of photovoltaic systems and their connection to the electricity grid requires certified experts, which is the reason why Helion Solar was chosen as the integrated service provider for all the solar systems purchased at IKEA. The Swedish home furnishing retailer markets the solar panels at its Swiss stores and in its online shop under the “good-E” brand. The brand stands for simple, cost-effective and reliable solar solutions. The partnership is in line with Alpiq’s strategy of expanding its market presence in the field of energy services with a particular focus on growth markets, such as the solar industry. The collaboration allows Helion Solar, which is part of the Alpiq Group, to position itself as the Swiss market leader for the planning, implementation and maintenance of photovoltaic systems and energy storage systems. The goal of the partnership is to heighten the awareness of an even wider customer base for solar energy and support as many households as possible with their entry into the world of clean and simple energy generation. In addition, by using intelligent control technology to link the solar system, house battery and charging station for e-cars, the Swiss market leader can offer its customers a complete energy efficiency package from a single source. 1. Specially trained staff provide the customer with advice and a non-binding offer at the IKEA furniture store. Alternatively, customers can plan their solar systems themselves on www.ikea.ch/solar and calculate a non-binding offer. 2. A good-E representative visits the customer at home in order to plan the details of the desired solar system. 3. The customer receives a binding offer that is tailored to their individual requirements. 4. The final planning of the solar system is carried out and it is installed on site.